A striking two tone look complements an otherwise minimalist design in this men's stainless steel bracelet. Brushed finish links are accented with black ion plated (IP) center bands, and finished with a fold-over clasp. 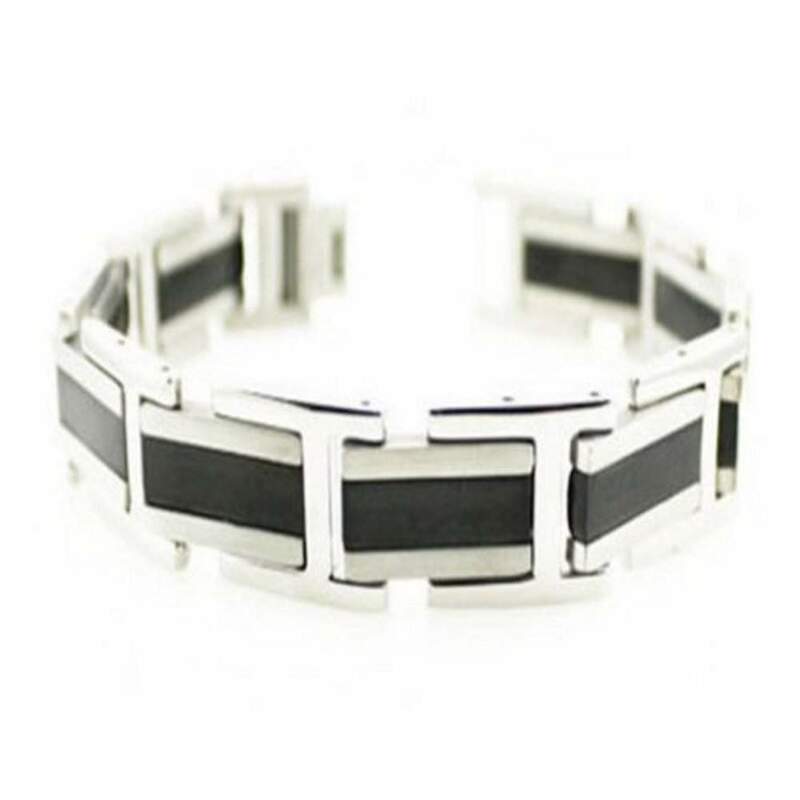 This handsome modern designer stainless steel men's bracelet measures 15mm wide by 8.75 inches long.